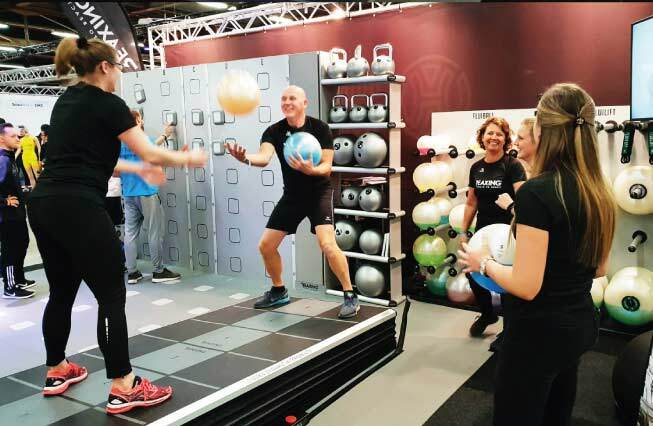 exclaimed Jethro, Body Bow’s owner, at the end of Fit Fair, the Dutch fitness fair that took place in Utrecht (Netherlands) last weekend. 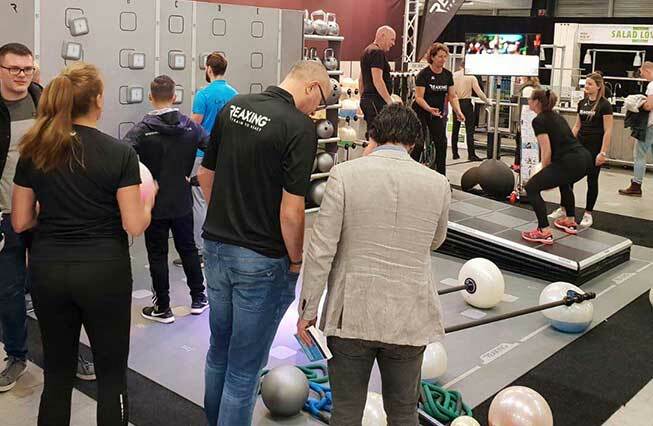 Body Bow has recently become a Reaxing distributor in the Netherlands and, strongly believing in the potential of Reaxing, they decided to make a single branding booth bringing only the Reaxing equipment to Fit Fair. And that was a good choice. In fact, Body Bow & Reaxing booth has been pretty busy both on Saturday and on Sunday, with a lot of clubs and studios’ owners stopping by and asking for information, many students from Health and Sciences thrilled to try every piece of equipment. 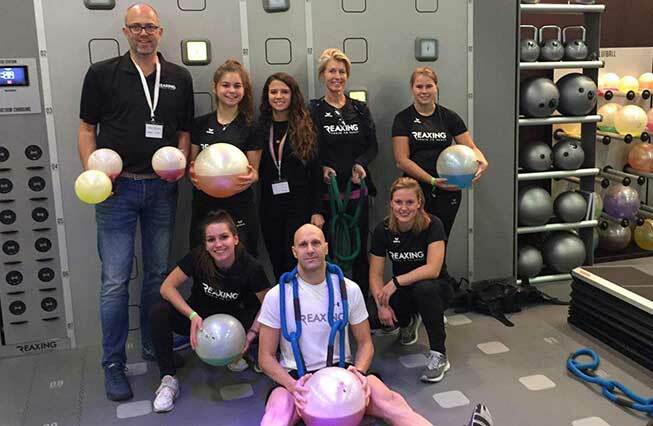 The Reax Board was playing a leading role: people working in different fields, from Fitness to Rehabilitation, were able to immediately understand the value of the board in any kind of training. Good players were also the Reax Lights station, always fun and attractive, especially in their Combat program. Reax Chains were particularly loved by Boot Camp coaches as in Holland outdoor workouts are a very big market, despite of the cold weather. The chains were found as the perfect tools that people can easily bring to the park by just wearing them as a backpack and then be used as weights for different total body exercises. Fluiballs were appreciated especially by pilates and postural instructors as their are soft and versatile. 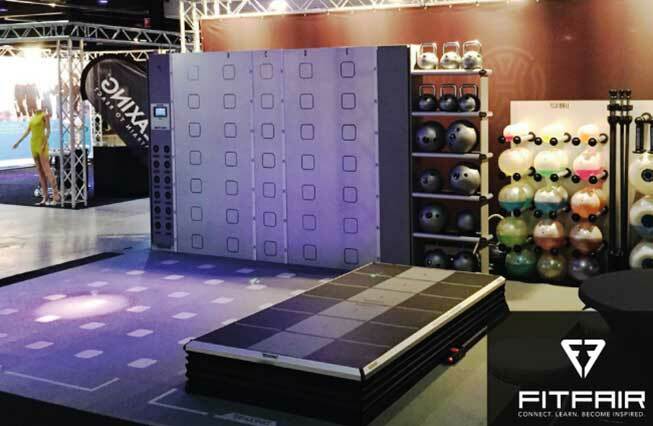 Last but not least, Reaxing Kettlebells and slamballs were an invitation to many elite studio owners, since they find them sophisticated and aesthetically pleasing, soft and not hurting. The evolution of the two days at the fair went without a hitch: Jethro and his team planned everything at best. It was for sure the start of a glittering collaboration.